Happy New Year everybody! And while I am at it thanks for reading my Blog! 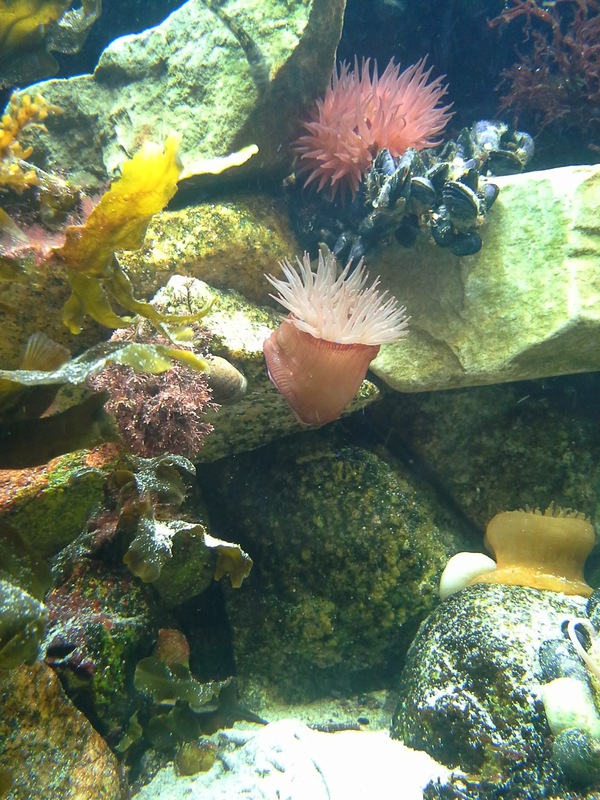 I got another chance between the battering of the storms here to go out rockpooling and found some more new things. The other truly amazing new creature I found in masses was this beautiful seaslug called Elysia viridis. Thanks to Anbollenessors post I knew already why they are so amazing. 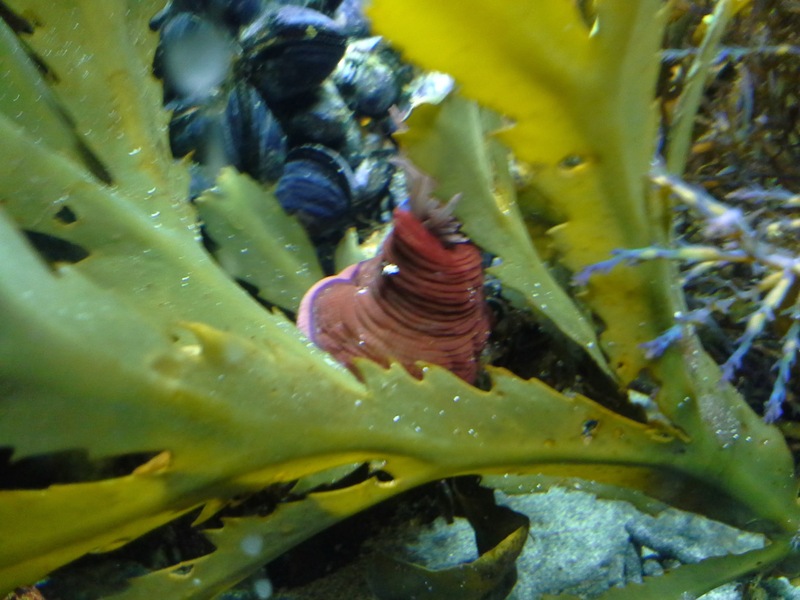 They live in a so called subcellular endosymbiosis with chloroplasts that the extract by feeding on Velvet Horn Codium Fragile and probably also other green seaweeds as the codium fragile is an invasive species. They maintain the chloroplasts in their bodies and use the sugars created by it to supplement their diet which is just breathtaking! (Info from wikipedia) The abundance was so great it was impossible not to catch them. Another stunning looking and fascinating animal with their sparkling green dots on the sides and almost wing like back they look so out of this world. I really like to watch them as to me snails have such majestic appearance the way they move. The Goose Barnacles have done well so far and finally got their place in the display aquarium again – they where in the sump since their first introduction didnt go too well. This time I built a fixture to hang in from the top so the hermits cant get at them. Its also more natural as in the wild they attach mainly to flotsam. I thought the wrasse is going to go at them very quickly but for some reason is not interested at all, yet…which is great! They really deserve to be seen in the maintank as they look so beautiful. The yellow rim has faded a bit on some of them. Not sure if thats due to less light in the sump or the “unnatural” diet. When I feed them artemia shrimp or rotifiers I take them out to make sure they get all of it for themselves. 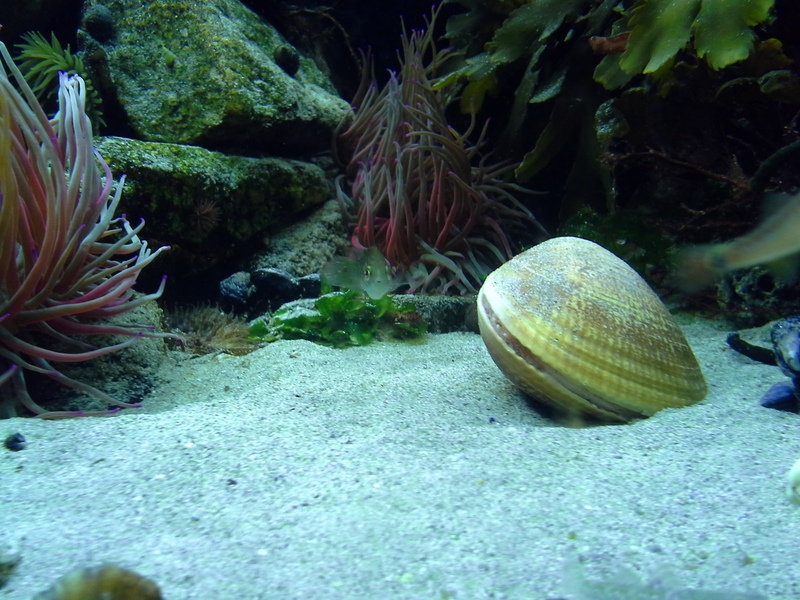 All of the small clams have found their way into the sand and have disappeared. However I havent found any siphon holes yet in the sand but expect it once they settled and start feeding? The large one is still above the sand and gets a lot of – probably unwanted – attention of the wrasse. Its always about 3mm open but still alive and did expel a lot of guuy stringly stuff of which I am not sure exaclty what it is. It was in a bad state when I found it so I am not sure if it is dying or recovering or this is just normal waste or even egg or sperm mass. …I felt sorry and brought it back onto its rock. Since then it didnt move a millimeter. 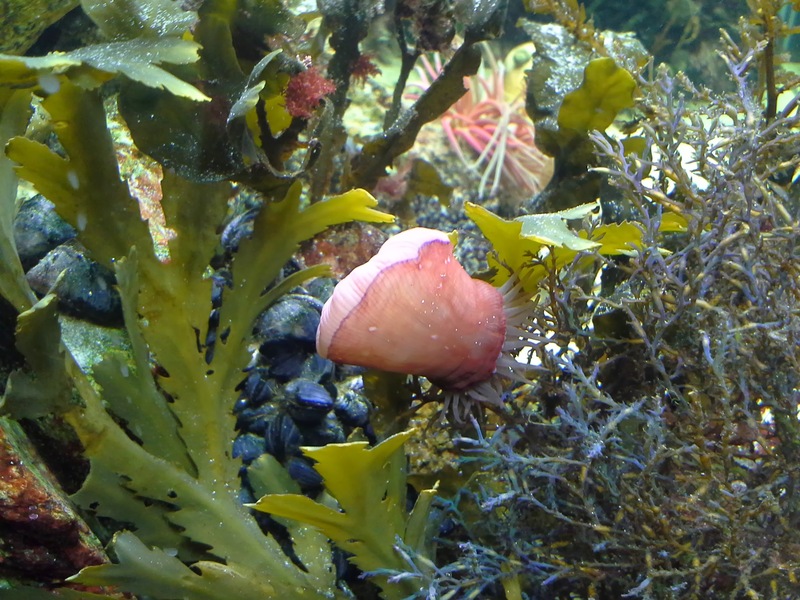 Its great to observe the anemones when they are “looking around” or probing and scratching rocks to make sure no other anemone comes too close or maybe to scout the area before going on the move. ← Break in the weather…off to the rocks!